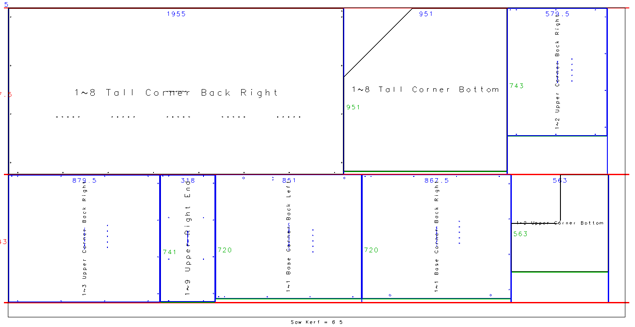 QuickCAM Systems is pleased to announce the release of a new package of kitchen design software incorporating a cut list, saw optimisation, quotation and costings. This package is focused on the small manufacturer but incorporates many of the best time-saving features currently available to the larger manufacturers. Designed to help you sell, manufacture and win in a tough and competitive market. 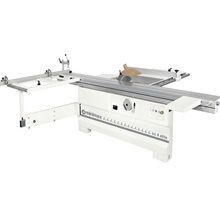 New companies entering the cabinet making industry all experience a myriad of barriers as they attempt to develop into larger kitchen manufacturers with the usual dream of one day owning a CNC. In the meantime they need kitchen design software, which produces a cut list for the panel saw and possibly a saw optimiser. This environment is one of long hours where either a single person with cabinet making experience attempts to play the role of all facets of a kitchen making business or is one where some of these responsibilities are shared with a partner, usually husband and wife. Financial risks are high and competing with the slick, highly productive competitors is difficult. The main roles to be performed involve Sales, Production and Administration but in reality include time consuming functions like finding new clients, designing, costing, quoting, making a cut list, ordering materials, organising the job, handling changes, re-quoting, bringing in other trades, paying bills, solving problems, sweeping floors, washing windows and much much more. 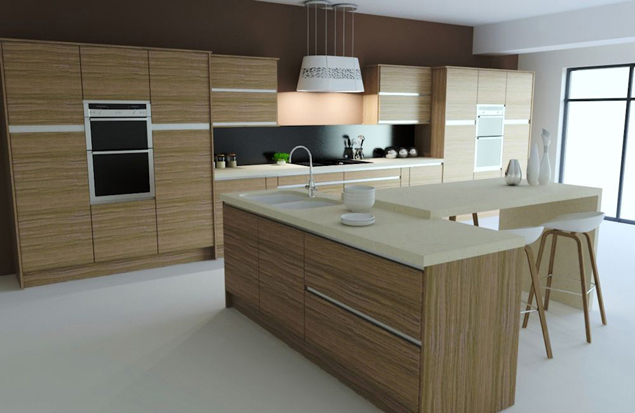 Read more about ArtiCAD Pro kitchen design software. The ongoing battle against larger and better equipped competitors is huge and can be very time consuming as the bigger companies apply an ever growing level of technology and automation, which reduces their costs. The manual input for the smaller company is enormous so they need to get the benefits of automation, to give them an edge, without breaking the bank. With the smaller operator in mind, QuickCAM Systems, who are responsible for some of the most cost reducing developments available to larger kitchen manufacturers, have now released a new range of highly effective, automation intense software solutions for the small kitchen manufacturer. This solution includes ArtiCAD kitchen design software and manufacturing tools for cut list, saw optimisation, costing, and quoting in a way that will certainly not break the bank. These NEW developments are designed to make the day-to-day functions of running a small kitchen manufacturer as automated as possible and to dramatically reduce time spent manually performing functions you just do not need to do. The various options are individual and are available in a package that will meet with your business plan and your budget requirements, either as an outright purchase or by subscription, so ask us how we can make this work for your business.